Durant votre séjour à Nakhon Ratchasima, vous vous sentirez parfaitement bien au Raya Grand Hotel, dont les chambres et le service sont d'une qualité hors pair. De là, les clients peuvent facilement se déplacer et profiter de tous les avantages offerts par cette ville dynamique. Niveau visites, Parc aquatique de Boong Ta Lua, Hôpital de Fort Suranari, Klang Plaza - Jomsurang ne sont que quelques-uns des centres d'intérêt qui attendent les voyageurs prêts à partir à la découverte de la ville. Les équipements et les services proposés par le Raya Grand Hotel sont la garantie pour les hôtes d'un séjour agréable. Pour ne nommer que quelques-uns des équipements de l'établissement, citons WiFi gratuit dans toutes les chambres, réception 24h/24, service de voiturier, parking, service en chambre. Les chambres de l'établissement ont été aménagées selon les plus hauts standards de confort et d'ergonomie et comprennent pour certaines les équipements suivants : télévision écran plat, internet sans fil (gratuit), climatisation, bureau, mini-bar. Les karaoké de l'établissement sont absolument parfaits pour se détendre après une longue journée. Quel que soit le but de votre visite, le Raya Grand Hotel est un excellent choix pour votre séjour à Nakhon Ratchasima. arrivée tardive dans un hotel de très bon niveau à tout petit prix.Personnel très attentionné.Restaurant sympathique de bon niveau et très bon marché.Bon petit déjeuner pour un hotel de "province"
L’hôtel Raya Grand Hotel est emplacement tout à fait convenable pour une nuit en transit. Le prix est abordable et en rapport avec la qualité des chambres. L’accueil est simple et discret. La chambre et la salle de bain sont fonctionnelles. Si vous désirez visiter la ville, un véhicule est sans doute appréciable. séjour dans un hôtel offrant une certaine qualité, dommage que la connexion internet et la mauvaise qualité du bouquet chaînes tv ne suivent pas! The staff was helpful and check-in was quick. The rooms are small but clean and the TV was new, the hot water was hot and the air conditioning was cold. We love the location of this hotel because it is far enough downtown to be close to everything but not in the heart of the downtown where it is noisy. Spent 3 nights in a Grand Deluxe room (recommended),plenty of storage space,large LCD TV,Balcony,T/Coffee facilities,beautiful and large bathroom,very comfortable King size bed,refigerator.I felt very relaxed here,very quiet,room service was very prompt and food was good.Hotel has a nice indoor/outdoor coffee shop,and ample vehicle parking.Have used this hotel on previous visits,and will use it again when next in town. We stay here quite often on business. This hotel is centrally located in Korat and is always clean and has decent but not great internet. The breakfast buffet is simple but good. We come here often because the staff are always wonderful and helpful. During the weekdays, this hotel is a great value. But on the weekends, this hotel is very popular for weddings and large events. When these take place, you cannot get parking anywhere near the hotel. We had to park about 400 meters away from the hotel and were very concerned about getting our car stolen. Also the wedding guests were very, very noisy up until 1am, which would not have been so bad if we did not need to get up at 5am. We will stay here again, as usual, on weekdays, but we will definetly not come back on weekends. We have stayed here on business trips many, many times. 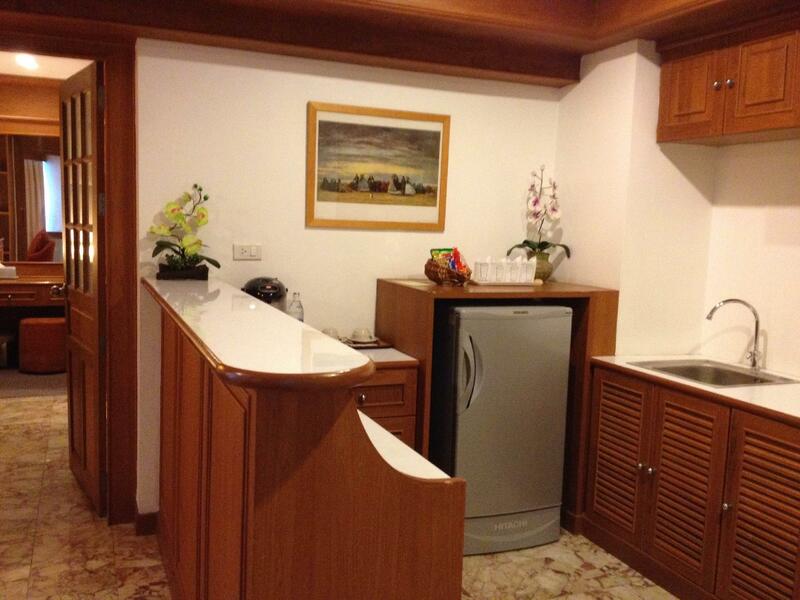 It is well located within Korat and is reasonably priced with very helpful staff. The rooms are nothing special, but they are clean and the internet usually works well. This hotel does frequent banquets and weddings and it is usually on the weekends. On weekends when there are weddings and banquets, it is impossible to find parking. We had to park about 400 meters away from the hotel in a not-so-nice section, where we had to worry about our car being stolen or broken into. And the wedding guests were noisy and raucous. So the rest was not good. This happens usually on weekends only. So in the future, when we must do business in Korat, we will go to a smaller resort hotel if it is on the weekend, but will come here if on a weekday. The staff were helpful and there was always someone at the front desk and the restaurant who spoke good English, for international guests. The room is large and very clean, with a new TV, which is great for us because we like to connect our computer to it and watch our own shows. The room received a strong wifi signal and the internet was fast by Thai standards. 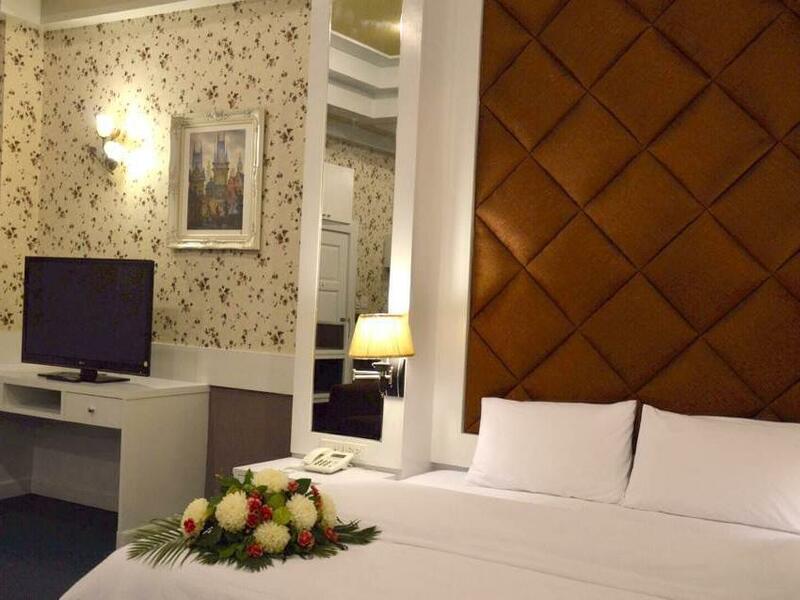 Had a pleasant stay at the Raya Grand Hotel,I have stayed here before because it caters to my needs.Friendly and helpful staff,good size and clean rooms,laundry service good,nice restaurant..good food,but need a vehicle to travel into and around the city. We have stayed here as business travelers many times. This hotel is a good value. Clean rooms with good new TVs. The internet is slow, which is not a problem for us because we have smart phones which we use as WIFI hotspots. If you are above the 3rd floor the WIFI signal is too weak to be used. The breakfast buffet has a good variety of Asian food. The staff are very helpful and friendly. The room is large and has a good new TV. The breakfast buffet was limited but very good. 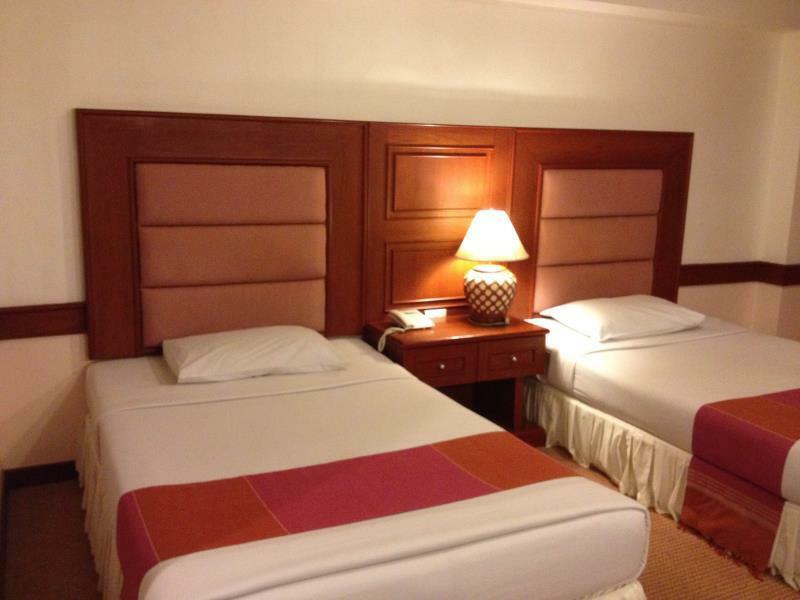 We enjoy staying at the Raya Grand as business travelers and have been here often. The staff is always helpful and the location in the city is convenient. The restaurant serves standard Thai fare, but is good food at a reasonable price. 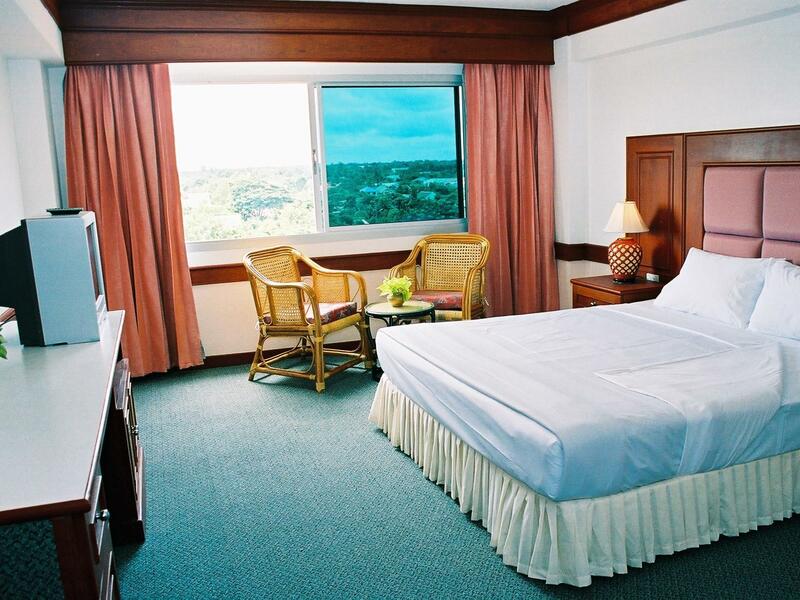 The rooms are a good size and are clean and comfortable. The TVs are new, which I like because we can hook up our computer to them to watch shows and movies at night. There were only two problems, that happen often here. First, the hot water heaters do not work well. They are a type of heater that cannot be adjusted, so showers are very cold. Also, the internet signal is very weak unless on the bottom floors. They need wifi routers on every floor. The staff was friendly and helpful, but only one staff member spoke some English. The room was clean, large, and comfortable. Good TV but no international channels. The internet worked OK in the room. Not the fastest, but it got the job done. Overall a good value. We will come here again. We needed to stay in Nakhon Ratchasima for a quick overnight stopover and it was perfect for a good night's rest, with free wi-fi (albeit in the hot lobby). the room was large, clean and well furnished; the hotel is in the southern part of town about 2 km from downtown which is a relief from the congestion of town. It's close to all highways, shopping centres and the market. Staff were friendly and helpful, parking was safe and breakfast was adequate. They could use AC in the lobby though. Basically the hotel is clean and neat although it is a bit aged especially the bathroom. My shower head is leaking but I can live with it. The room rate inclusive of breakfast is a super deal but don't expect too much from the breakfast. It has limited variety but at this price I am not complaining. Overall a no-fuss hotel but not for fussy traveller. Staff friendliness, cleanliness, ease of booking. The hotel was just fine. Paid extra for a larger room with an extra bed but was disappointed. The room was small and the extra bed was poor quality. Not a great location for travelers with out a car. we always rent a 2nd room for our nannies so this review is about the food. the breakfast buffet is excellent, although the evening restaurant is pretty poor quality. first there is no room service, even for the VIP suites. i had to go down and order the meal in the restaurant. then the food was pretty poor quality. i got food poisoning from a grilled pork leg and was sick for 2 days. the Thais in our party didn't seem to mind the food but they are used to dirty food. if you are farang, i would recommend avoiding this restaurant. there are several steak restaurants right on the same street, or you can take a short trip to the mall, where there a dozens of restaurants.